No tarps, no cots, and less than 200 blue roofs. Add as an interest to stay up to date on the latest news, video, and analysis from ABC News. That is what the Federal Emergency Management Administration’s warehouse in Puerto Rico looked like as Hurricane Maria made landfall in Sept. 2017. The vital supplies had been siphoned off elsewhere when Hurricane Irma had slammed into the U.S. Virgin Islands, prompting need for assistance. In its after-action report, FEMA’s leadership admits that it “could have better anticipated that the severity of hurricanes Irma and Maria would cause long-term, significant damage” to Puerto Rico and the U.S. Virgin Islands. In the first 72 hours after Maria’s landfall, FEMA had “little information” about the status of the island’s infrastructure. week after the storm, FEMA still lacked key information, including vital details like the status of more than half of the island’s water treatment facilities and nearly half of the island’s hospitals. 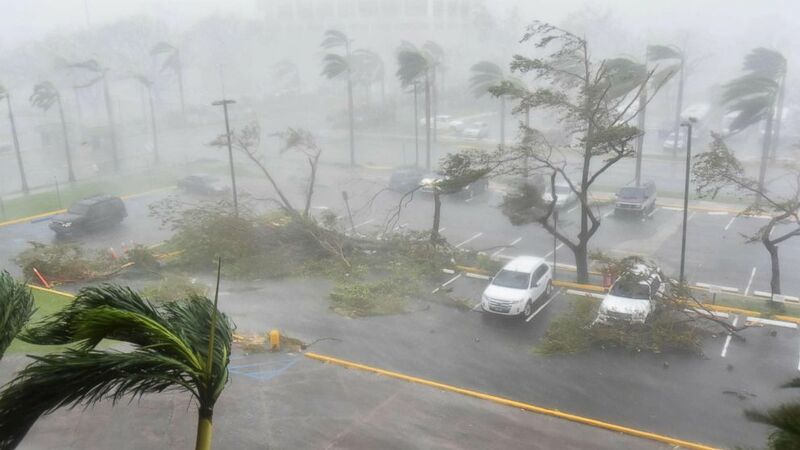 Hurricane Maria hit Puerto Rico on the morning of Sept, 20, 2017, plunging the island into complete darkness, causing $100 billion in damage and claimed the lives of countless people. In the wake of Hurricane Irma, FEMA moved more than 80% of its inventory from the Caribbean Distribution Center warehouse in Puerto Rico to the Port of St. Thomas in the U.S. Virgin Islands. That left the only FEMA warehouse in Puerto Rico with zero cots, zero tarps, less than 98,000 meals and less than 70,000 liters of water — all as Hurricane Maria barreled towards the island. The agency report cites the island’s geographic distance from mainland U.S. as well as its fiscal pressures for its lack of critical infrastructure management and decreased funding for emergency management. The report also pins blame on an agency they say “entered the hurricane season with a force strength less than its target, resulting in staffing shortages across the incidents.” The agency needed over a thousand more people personnel to hit a target set for the fiscal year. FEMA defines its force strength as its workforce that has completed the administrative requirements for deployment. In the aftermath of Maria, FEMA’s Logistics Supply Chain Management System records that tracked much needed food and water supplies in real time lagged because of a lack of trained personnel on the ground. Less than a fifth of the trained staff were in Texas and Florida responding to other hurricanes. In a little over a month, the federal agency responded to three major hurricanes – Harvey, Irma, and Maria – which did a combined $265 billion in damage. Maria represents FEMA’s longest sustained air mission of food and water delivery to date. FEMA also acknowledges that the agency’s reliance on cellular and broadband communications fell remarkably short of facilitating vital communications between rescuers and survivors during some of the most consequential early days of the storm for Puerto Rico. Among a number of such issues, some of the satellite phones that were sent to Puerto Rico did not work, and many that received those phones did not know how to use them. The Puerto Rico Governor’s Office tells ABC News they are still reviewing the report.